Jacksons Lane is delighted to have received funding for three years from City Bridge Trust for an exciting and innovative new arts project for older people, Together. Together has enabled enriching partnerships between arts practitioners, care workers and health professionals in Haringey. 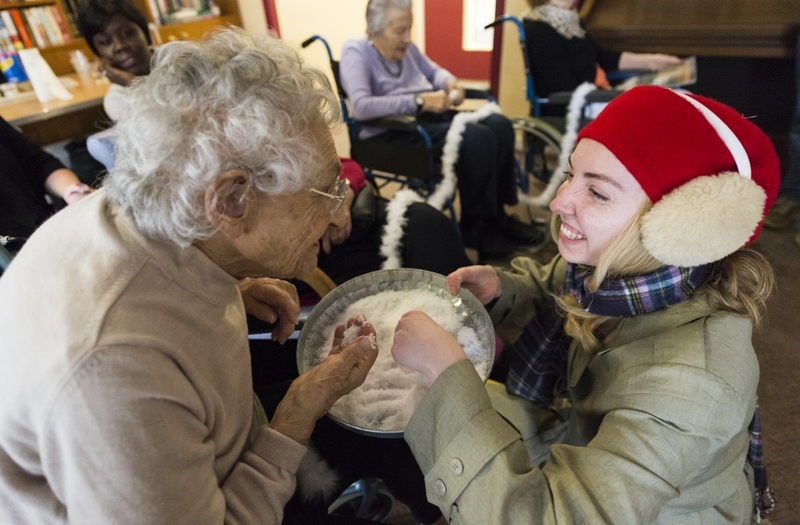 Working together, we bring arts activities and experiences to older people and people with dementia living in Haringey. We work with a commitment to reducing isolation and increasing well-being for our participants. Jacksons Lane produce fortnightly social lunches, called Broadway Brunch, which tour to residents living in the Homes for Haringey supported housing schemes. Broadway Brunch offers a feast of entertainment from globally renowned circus performers, singers, dancers and drag queens. Broadway Brunch is also an opportunity for residents to learn from visiting organisations, what services and opportunities are available to them in their community. We'd love to welcome you to one of our Broadway Brunches! For more information and details of how to book yourself a ticket to one of our Broadway Brunches, read our Broadway Brunch flyer. In partnership with Spare Tyre, Together runs weekly participatory arts workshops for participants with dementia at the Haynes Day Centre. Spare Tyre work with clients and carers affected by dementia to create art, theatre and performance. We are grateful to Bridge Renewal Trust who are supporting the engagement of dedicated volunteers in the project, and also to Haringey Council who are assisting with long-term evaluation. Amazing experience that brightens the day!